Happy Death Day (film, 2017). A 2017 American slasher film with "PG-13" rating by Universal Pictures. Directed by Christopher Landon, Christopher B. Landon. Official Trailer. Happy Death Day is a 2017 American slasher film directed by Christopher Landon and Christopher B. Landon. 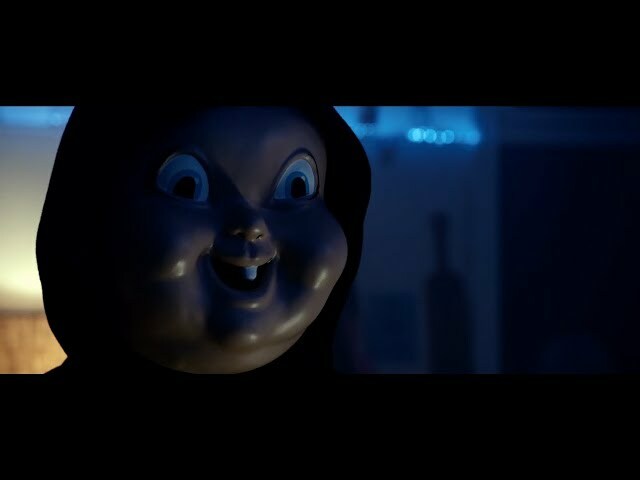 Happy Death Day - Official Full Trailer (Universal Pictures) HD. After drunken partying the previous evening, university student Theresa "Tree" Gelbman wakes up on her birthday in the dorm room of her classmate Carter Davis. She ignores a phone call from her father, David, and dismisses Carter while leaving his room and throws away a birthday cupcake given to her by her sorority housemate Lori Spengler. Tree also meets with her married professor, Gregory Butler, with whom she is having an affair. That night, on her way to a party, Tree is lured into a tunnel and murdered by a figure wearing a mask of the campus mascot. Tree immediately wakes up in the same way she had previously - in Carter's bed - and is unnerved to find the previous day's events repeating themselves. Baffled, she nonetheless relives the day and uses this second chance to avoid the tunnel and reach the party. However, the masked killer follows her to the party and murders her again. Tree again wakes up in Carter's bed, realizes that she is in a time loop and barricades herself in her room to avoid death. The killer, however, is already hiding there and slays her a third time. Upon waking up, Tree relays her story to Carter. He suggests taking advantage of the loop to identify her killer. She spends the next several iterations trailing people she considers suspects and getting killed each time. After waking from a loop where she is bludgeoned, Tree faints and awakens in the campus hospital. Her body shows evidence of recovery from multiple traumatic injuries, indicating that she has retained physical damage from her previous deaths. Shortly after escaping from the hospital, Tree is pursued and killed again. The film Happy Death Day was scheduled to be released by Universal Pictures on October 7, 2017 (Haifa), on October 13, 2017 (United States, Turkey, Canada, Estonia), on November 16, 2017 (Germany) and on February 2, 2018 (People's Republic of China). The duration of the film is 96 minutes. With a budget of $4.8 million, the film grossed over $125.5 million. The film had received a "PG-13" rating. Happy Death Day got high rating from critics. The audience also likes the film. Audiences polled by CinemaScore gave the film an average grade of "B" on a scale ranging from A+ to F.